We had an issue with boneless booksellers and space monkeys earlier today, which, as you can imagine, has led to a delay in getting the newsletter done. We’re sure other industries have their own foibles and fumbles that cause momentary distractions. Like ambivalent sunshine putting a damper on an afternoon of rubber stamp engraving. Or restless hummingbirds making it difficult for slow-drying sloths to relax into the necessary near-motionless state of sensory suspension that is required for optimal drying. Right? Anyway, we’re not here to offer excuses, really. We’re here to talk about books. Unless you want to talk about space monkeys. In which case, we can certainly spend the rest of this issue of the newsletter making stuff up about monkeys, in space. 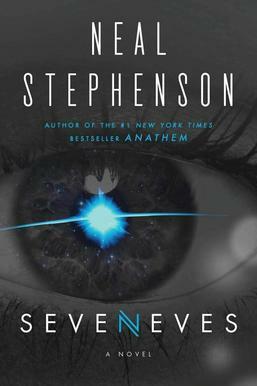 Speaking of space, the first line of Neal Stephenson’s Seveneves is “The moon blew up without warning and for no apparent reason.” Which is Mr. Stephenson’s way of saying: “I got your explody opening bit right here, gang, so strap in!” For those who have been waiting for the paperback version of Seveneves, your long wait is over. Though, it wasn’t that long. Some folks might not have finished reading the hardbacks they bought last year. Which is good, because it means you can still catch up for when they want to stand around and talk about space politics and evolutionary theory and whatever in the world (and in space) Neal wanted to explore with this book. 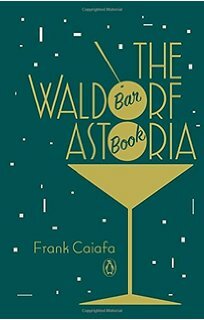 Speaking of relative cloudiness and proper chemical mixing, Penguin is getting in on the cocktail book craze with The Waldorf Astoria Bar Book. You can have a bar as swank and elegant as the ones in the famed hotel, apparently, where you can mix up forgotten classics like the Japalac, which is named for a once-commercially available additive that contained a Japanese-based chemical and was meant for improving the drying time of paints and varnishes. Properly atomized, we’re sure it helps with damp sloths who aren’t catching as much sun as they should. Speaking of sloths and couches, Joe Hill has a new book out too, and he’s giving Stephenson a run for his money on page count. 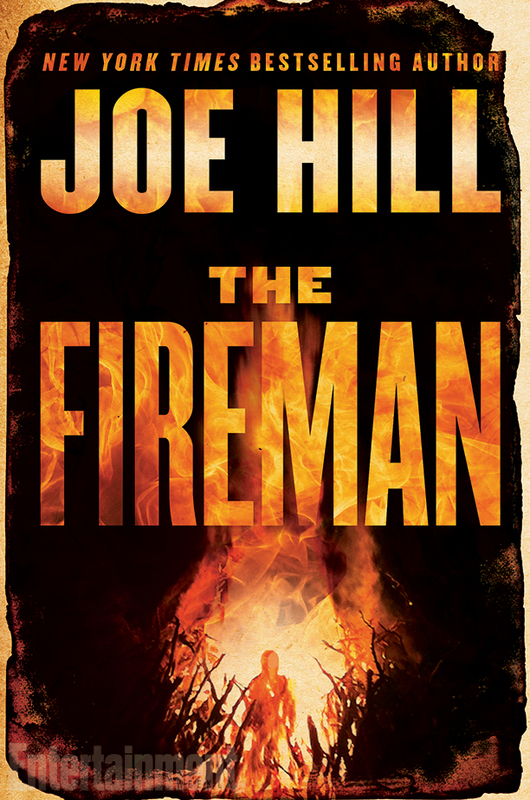 The Fireman is a plague-ridden near-‘pocalypse tome about near-nuclear families and spontaneous combustion. Sort of like Bradbury’s Fahrenheit 451 meets King’s The Stand (with apologies to Hill for the King comparison, because we’re sure he’s making his own way in the world, but sometimes you go with the low-hanging fruit when turning a 700-page book into a pithy log line). Speaking of being cool, it’s spring and time to swap out the winter wardrobe for the spring clothes. 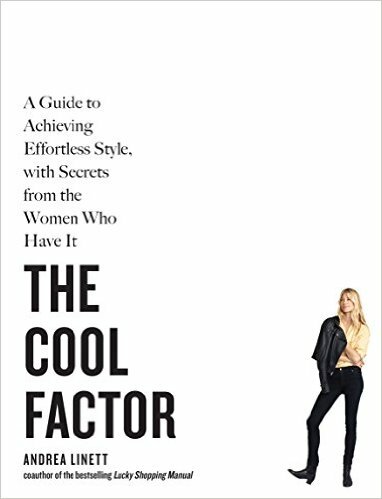 Fortunately Andrea Linett is here to help us out with The Cool Factor, a guide to figuring out whether you’re terribly out of trend or ahead of the curve. Find out How To Be Coy, how to Top It Off With Leather, and that Nothing Changes An Outfit Quite Like a Scarf. 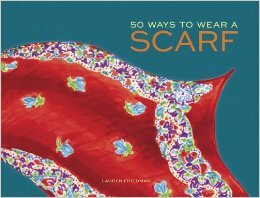 Good thing Lauren Freidman’s 50 Ways to Wear a Scarf is still available. Whew. Saved from fashion disasters by your local bookseller. Even if we are distracted by space monkeys. Colby: Did you know there is a constellation named for the air pump? Alice: I do. It’s part of the southern sky, near where the old constellation of the Argo was. Do you know about the Argo? Colby: Is that the boat that the Argonauts sailed on? Colby: I figured, from that bit at the end of the word. The ‘-naut.’ That’s Greek. Colby: So, if I built a boat out of sticks and leaves and called it “Colby,” then I’d be a “Colbynaut,” if I was a sailor on it? Alice: Yes, you would be Colby the Colbynaut. Colby: That sounds like a television series. You think we could sell that to the networks? Alice: What have you been reading this week? Alice: From the TV show? Alice: You are a terrible liar, marmot. You get all shifty-eyed. Alice: I’ve seen a great deal of this world, marmot. Both on land and on sea. I’ve seen your air pump in the sky, along with Argo Navis and the rest of the southern stars. I’ve bartered for food and water from a half dozen tribes whose language isn’t spoken by any outsider. I’ve stared down orcas, and I’ve stolen fish from the beaks of birds on the wing. So, yeah, I know when someone is lying to me. Colby: So, how do you steal fish from a bird in flight? Colby: You aren’t going to teach me? Alice: You don’t eat fish. Alice: We would both starve to death if we were dependent on you catching fish from birds. Colby: That’s a terrible thing to say. Alice: It’s true, marmot. You learn to stare unflinchingly at the truth when you’ve been at sea. Colby: I could stare down an orca. Alice: You would have to get your fur wet. Colby: Oh . . . maybe, not then. Alice: Are you going to tell me about this space oddity you’ve got in the back? Alice: You’re a terrible tease, marmot. Colby: It’s a good thing I’m cute.